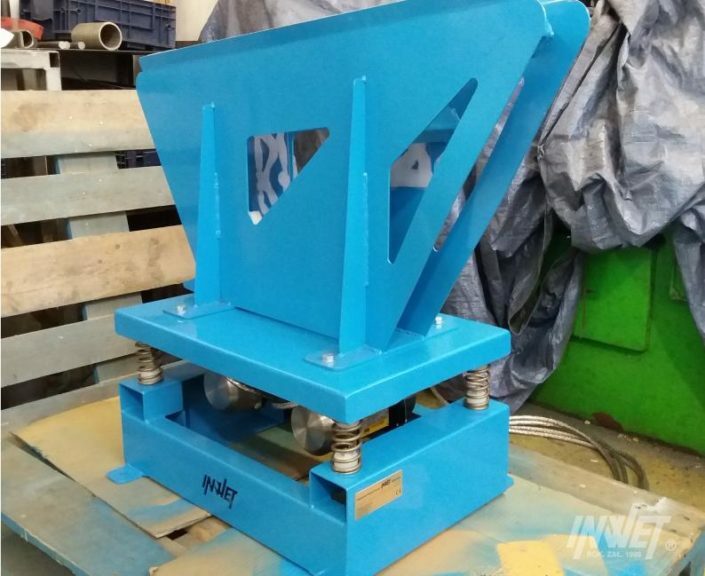 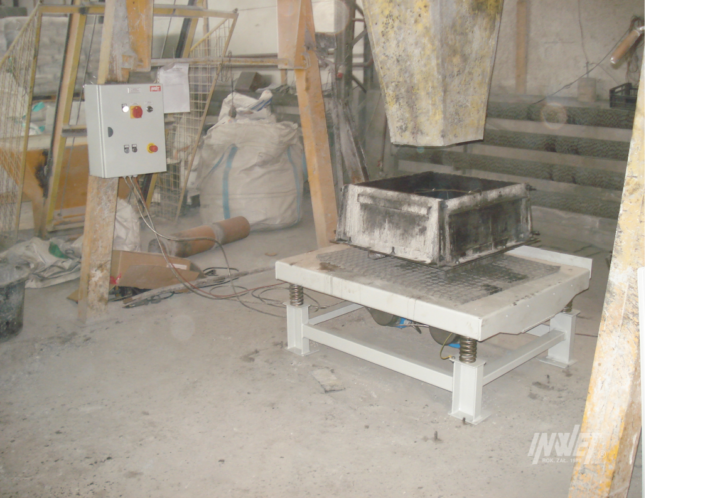 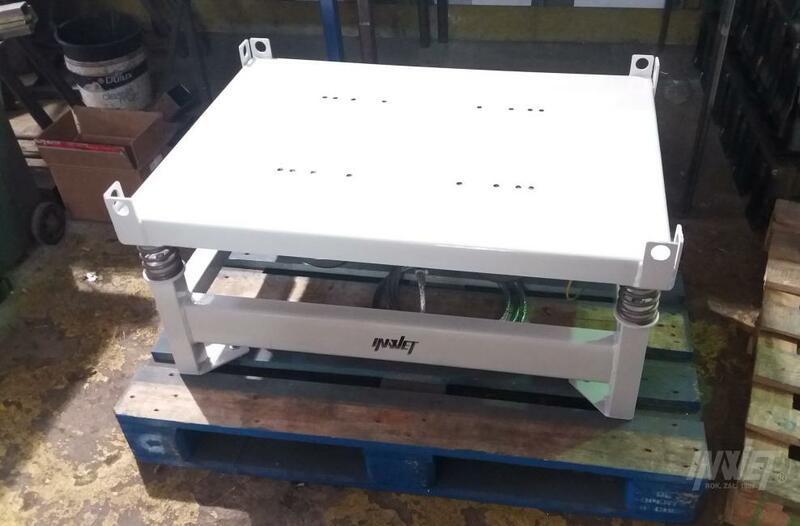 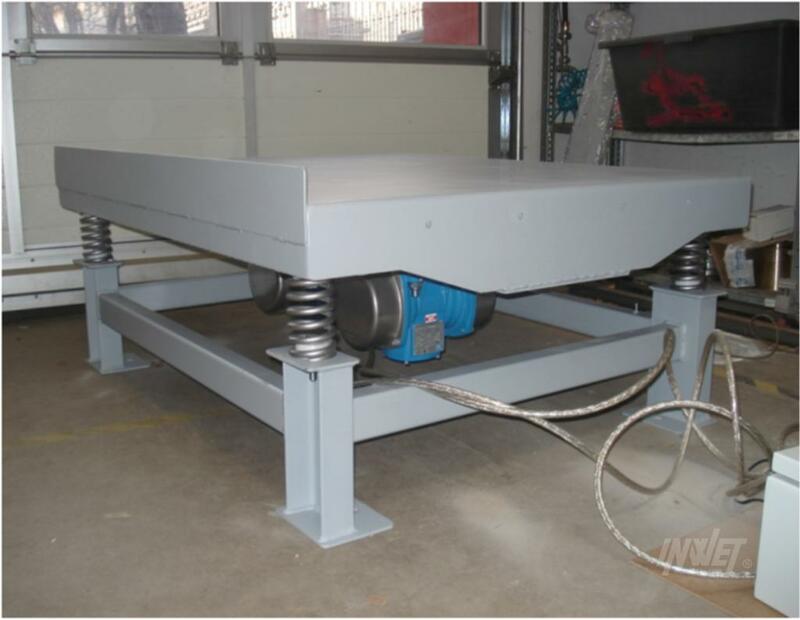 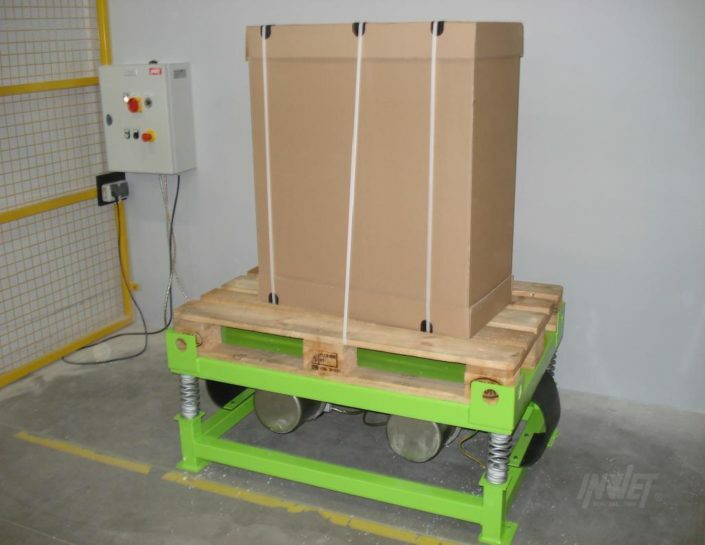 Vibrating tables are designated for forming or condensing of bulk materials (in dry or wet technologies). 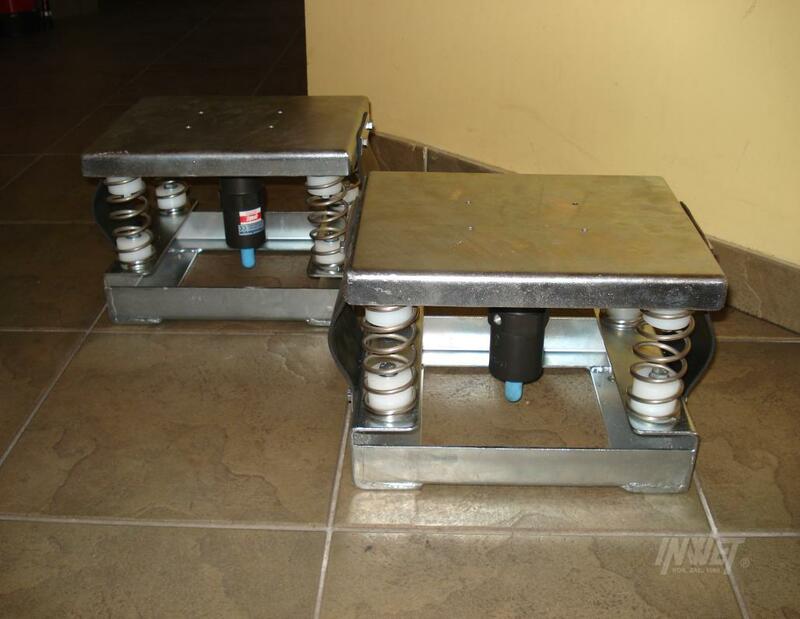 Tables are equipped with one or two inertial drives or pneumatic vibrators. 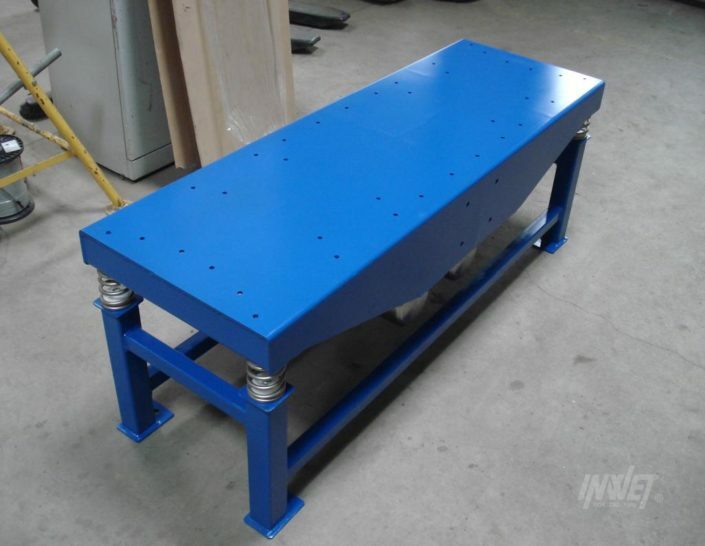 Solution depends on desired vibrations – vertical or circular. Height, surface and potential fasteners depend on customer demands and purpose. 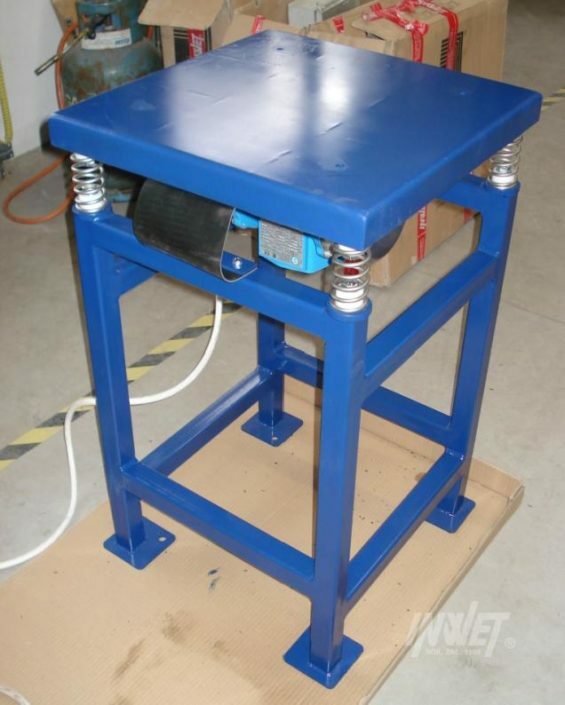 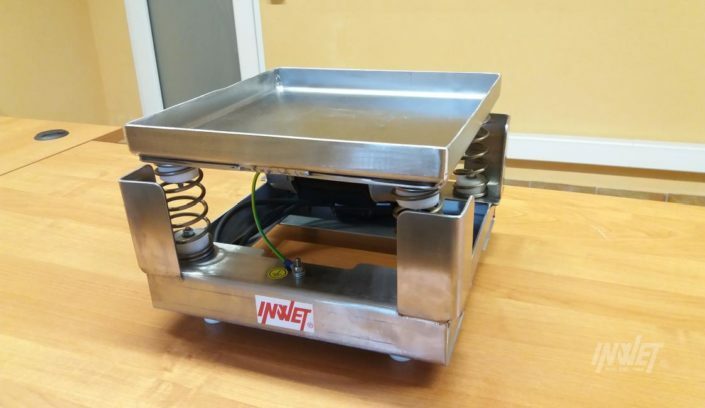 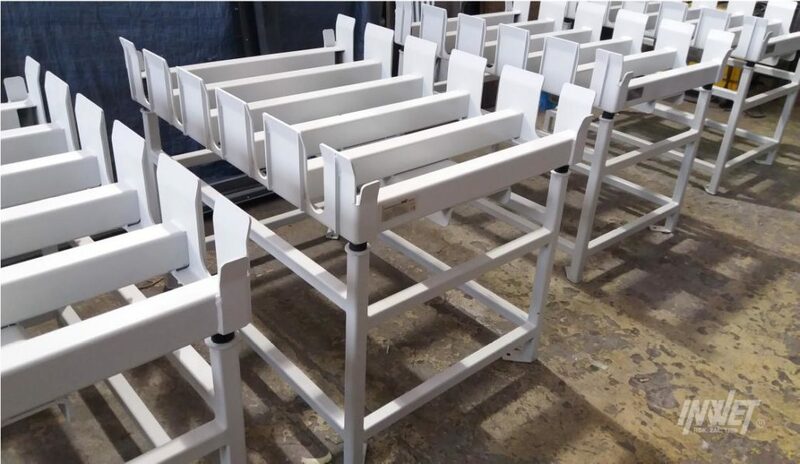 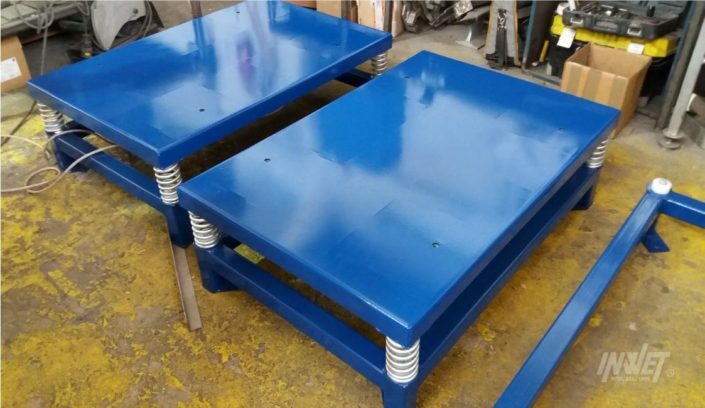 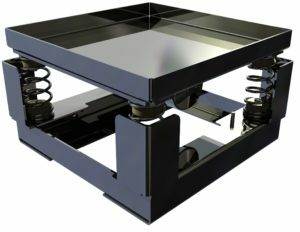 Vibrating tables can be made of coated carbon steel or acid resistant steel. In addition, we design devices to simulate vibration on various components. 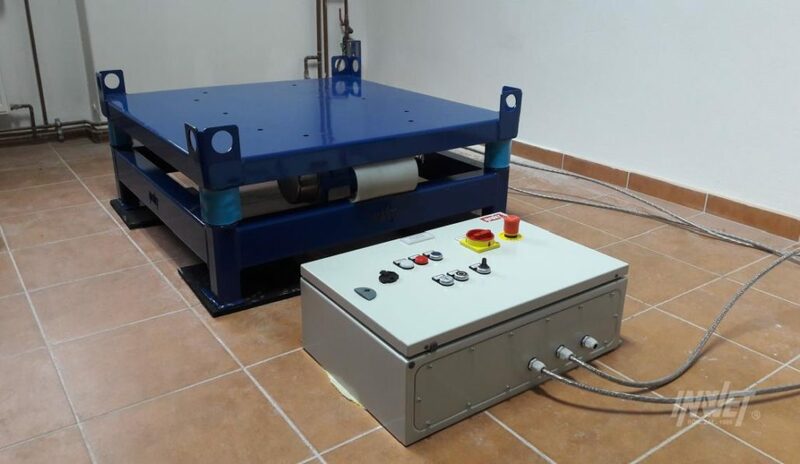 We select the parameters of the device to best reflect the conditions in which the product is tested.